If it seems as though Freedom of Information Act requests are on the rise, it’s because they are. Consider this: The General Accounting Office estimated that between FOIA’s passage in 1966 and 1991, 1.9 million requests had been filed. Fast-forward to 2015, and more than 700,000 requests were filed in one year alone — underscoring how much the digital era has increased the burden for managing this data and document load. This shift should concern government agencies. FOIA litigation is up 26 percent in 2018, yet 25 percent of public entities admit they would be unable to produce text messages from public officials. Still others struggle with producing even basic information, such as tax records and budgets. Still, as daunting as the task might be, it’s the duty of FOIA officers to be transparent about the operations of local, state and federal agencies. Thankfully, modern document management systems and workflows can reduce the hours spent searching for data and lessen the risk of a legal battle for failing to release the right records. If your agency is struggling to fulfill large-batch FOIA requests or produce extremely specific data or documents, it’s time to examine your processes and implement best practices for document governance. Even as FOIA requestors become more savvy and requests become more complex, it’s possible to get ahead and improve the process for producing public documents. Here’s how to get started. FOIA requests can become overwhelming if they are not properly logged in the first place. Every request — whether through mail, fax or the internet — should be assigned a standardized case number so it can be tracked at every phase. To make this task easier, consider a document management system that automatically assigns case numbers. This automated process will prevent requests from falling through the cracks and exposing the agency to legal risk. A strong case management process should also include a tool that tracks the version history of every document. You should be able to easily identify when all documents have been accessed, changed or shared with the public. FOIA officials live in the trenches of inbound information requests, which can add up fast. But it’s possible to implement document generation systems that can respond automatically, especially as FOIA officers have the direct knowledge of what requests are most common. Instead of sending a custom response form for each request, forms can be generated based on any number of categories of data, saving significant administrative effort. Also, you can tailor modern systems so that when requests come in, all appropriate parties — legal, public relations, IT, etc. — can be notified of their responsibilities with the request. FOIA has always been about transparency, so if it’s possible, fully commit to it. Increasingly, government agencies are opening up their databases and proactively putting data online for the public to access. Instead of fielding a barrage of similar or even identical requests, putting your data online allows you to simply point the requestor to a portal or microsite that houses what they are looking for. It may sound simple, but one of the most impactful ways toward a simpler FOIA response is to get all critical data in one easily accessible place. Too often, FOIA officers are searching through multiple servers and systems for the right records or, worse, are sifting through uncataloged physical records. If your agency is finding itself in this predicament often, now is the time to act to digitize and centralize data. The National Archives and Records Administration is mandating a 50 percent reduction in paper documents by 2019, so proactively seeking a solution that can create and maintain electronic records is a smart strategy. Government agencies — especially small, local entities — know that tight budgets and short staff can push the burden of FOIA responses onto a small team or even a single person. So, when there is inevitably turnover or retirement, a large amount of knowledge can exit along with that person. Make sure data processes and locations are well documented, and if there is a staff change, have a continuity plan so no request gets lost. While FOIA compliance can be burdensome, modern tools and workflow tweaks can greatly impact your ability to provide the public the information it seeks. At the same time, a faster, more consistent response will improve the lives of employees in your agency as well as your constituents. 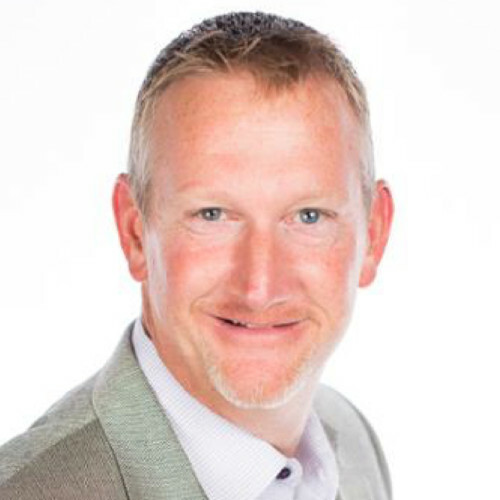 Gary Wootten is a strategic enterprise account executive at DocuSign, which provides electronic signature solutions.